Agny is a village in the Department of the Pas-de-Calais immediately south of Achicourt. The Military Cemetery is north-west of the main part of the village across the River Crinchon. 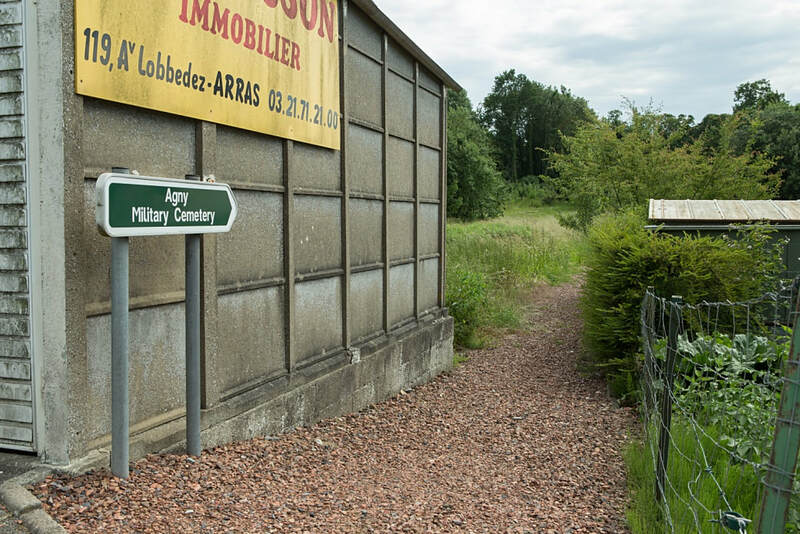 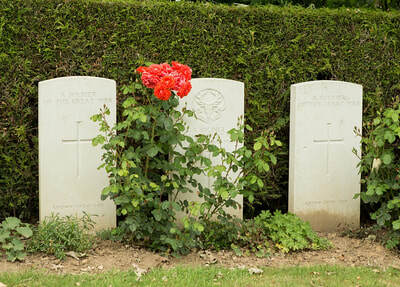 The Cemetery is on the outskirts of Agny, on the left hand side of the Achicourt-Wailly road (D3) coming from Arras. It is 4.75 Kms south-south-west of Arras Railway Station. 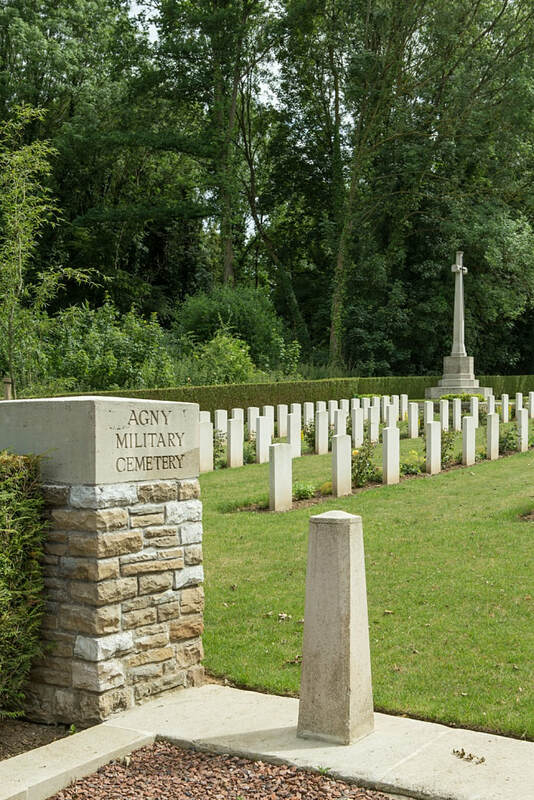 Agny Military Cemetery was begun by French troops, and used by Commonwealth units and field ambulances from March 1916 to June 1917. 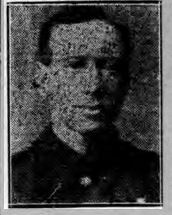 Two further burials were made in April 1918, and in 1923-24, 137 graves were brought in from the battlefields east of Arras. The 40 French graves have been removed. 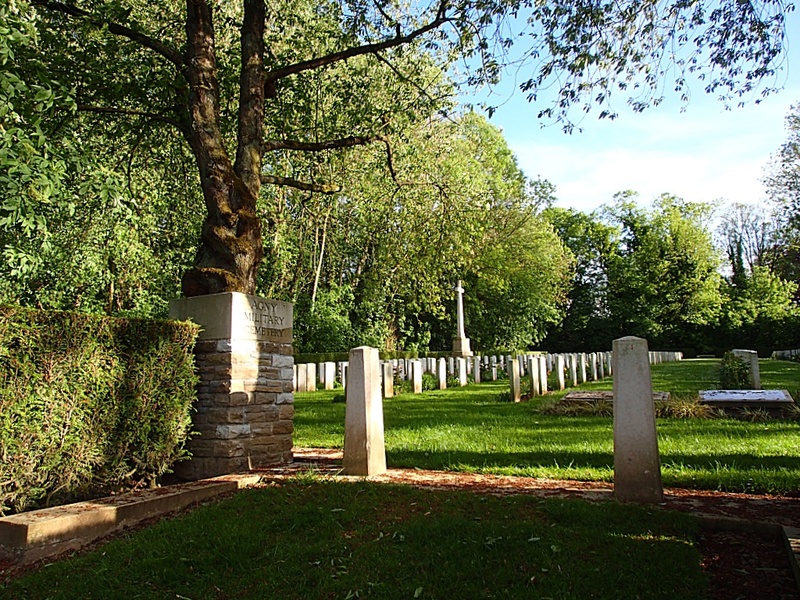 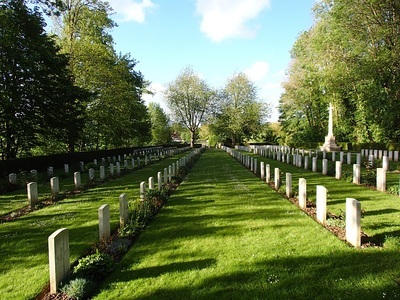 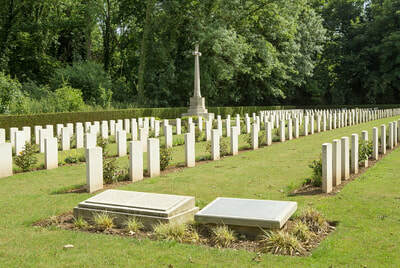 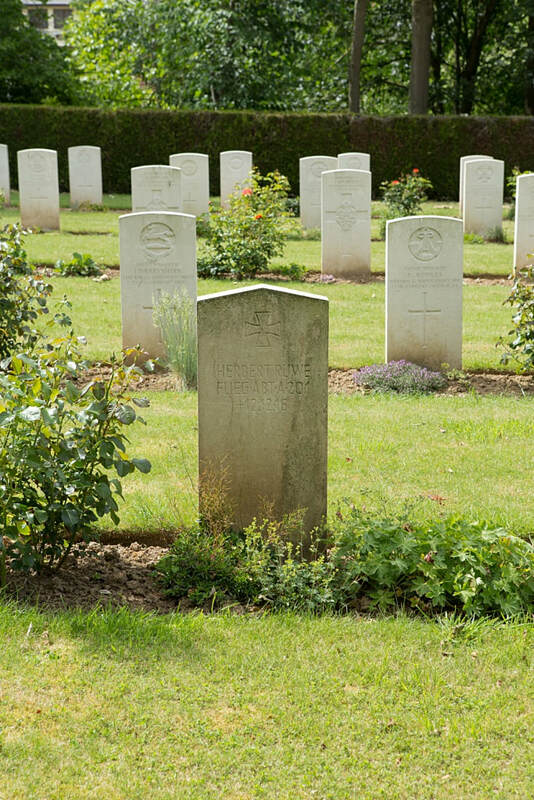 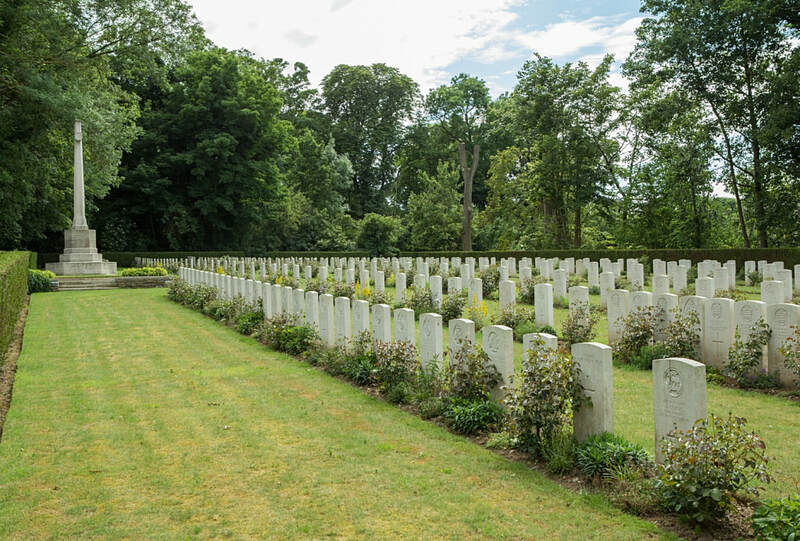 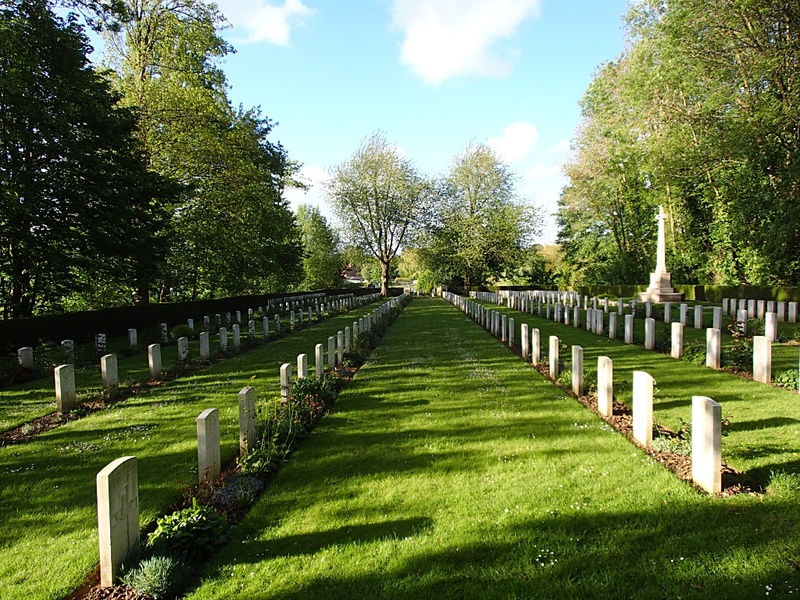 Agny Military Cemetery contains 408 Commonwealth burials of the First World War, 118 of them unidentified, and five German graves. 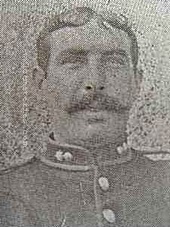 "Y" 14th Trench Mortar Bty.